Joseph Indelicato, Jr., P.C. has been committed to representing clients in family law matters for over fifteen years. The founder of the firm, Joseph Indelicato, Jr., an experienced litigator and father, has specialized in family law because he realizes and appreciates the importance of family. Over the years, he has tried hundreds of trials to both juries and judges. Most of the firm's practice is based in Harris County, Fort Bend County, and Brazoria County. Each family dispute is unique and may require a customized strategy. Joseph Indelicato, Jr., P.C. possesses the legal skills and experience to advise and work with clients to either resolve issues through settlement or to prepare the case for litigation. Joseph Indelicato, Jr., P.C. believes in teamwork, and that is how the firm provides quality legal service for its clients. The attorneys and staff take pride in representing individuals of various backgrounds, including race, gender, and faith orientation. The law firm of Joseph Indelicato, Jr., P.C., is available to handle all legal matters related to divorce and family law for clients in Houston and surrounding areas. We have served Texas for more than 20 years by providing straight-talking representation to get people like you through difficult times. Contact our family law firm for more information on how we can help you through your family law issues. Comprehensive Family Law Services in TexasOur comprehensive family law services include the resolution of divorces through litigation, divorce mediation or collaborative law, depending on the specific details of your case. We can take on all matters related to divorce or dissolution of a common law marriage, including: -Child custody and modification -Child visitation and modification -Relocation -Parental alienation -Child support and modification -Spousal maintenance, alimony and modification -High net worth divorce -Professional practices in divorce, including doctors, lawyers and accountants Our attorneys are uniquely equipped to take on the most complicated issues involving property division/division of marital assets, such as: -Division of real estate and stock options -Division of retirement funds and pensions -Marital fraud and hidden assets -Asset valuation -Business division You can also turn to our lawyers to help with all other family law matters, including: Prenuptial and postnuptial agreements Paternity Domestic abuse Grandparent and stepparent rights Wills and estate planning Probate administration We are committed to providing sophisticated representation to sophisticated people, people like you. We customize our representation to the needs of your case. Throughout the process, we will keep you involved. We will provide honest information about the progress of your case. We will strive to achieve the best possible outcome. 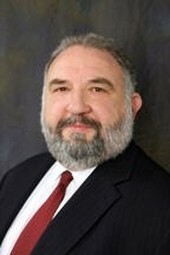 Mr. Indelicato is a native Houstonian who became licensed to practice law in Texas by the Texas Supreme Court in 1988. The following year he was licensed by the U.S. District Court, Southern District, and in 1990, he became licensed in the Court of Appeals in the District of Columbia. In 1993, Mr. Indelicato became Board Certified in Family Law by the Texas Board of Legal Specialization. Through his litigation and mediation experience, Mr. Indelicato has a great deal to offer a client involved in a family law or civil litigation dispute. In addition to his litigation experience, his certification and training in mediation and arbitration allow him to offer his services and experience to other lawyers in Alternative Dispute Resolution proceedings. Dedicated to the development of the practice of family law, Mr. Indelicato often accepts invitations to speak on current family law issues. He has also served in numerous leadership positions and committees to encourage positive developments in family law. To view Mr. Indelicato's speaking engagements, publications, and membership in professional organizations click on the underlined selections. Houston Bar Association (Member: Past Director, Family Law Section; Speaker Committee); State Bar of Texas (Past Member, Unauthorized Practice of Law Committee); College of the State Bar (Past Member Academy of Family Mediators). Frequent Lecturer, Houston Bar Association and State Bar of Texas. Member, Family Law Counsel, Family Law Section State Bar of Texas. Past Treasurer, Editor, Director and Secretary, 2009-2010, Texas Academy of Family Law Specialists. Director, Texas Family Law Foundation. Past President, Past Treasurer, Past Secretary and Past Director, Gulf Coast Family Law Specialist. Former Associate, A.A. White Dispute Resolution Institute. Former Member, 41A State Bar Grievance Committee. Volunteer, Dispute Resolution Center, Harris County, Texas. Barbara A. DeGeorgio has over 20 years of experience handling legal issues including management issues, contract issues, estate planning and probate, assisting corporate clients, and handling property issues in family law cases. Ms. DeGeorgio was licensed to practice law in Texas by the Texas Supreme Court in 1981. In 1987, Ms. DeGeorgio became Board Certified in Estate Planning & Probate by the Texas Board of Legal Specialization and has continued to maintain her board certification. Ms. DeGeorgio attended Temple University in Philadelphia, Pennsylvania receiving a Bachelor of Business Administration in 1974. She attended law school at the University of Houston and received her law degree in 1981. Ms. DeGeorgio is a member of the State Bar of Texas, Real Estate, Probate & Trust andFamily Law sections, Houston Bar Association, Probate, Trusts and Estate and Family Law sections. Ms. DeGeorgio volunteered for the Houston Bar Association Elder Law Committee for over ten years and was the Co-Chairman for the Houston Bar Association Elder Law Committee in 1996-97. State Bar of Texas (Members, Sections on Family Law, Real Estate, Probate and Trusts); Houston Bar Association (Member, Family Law Section; Past Co-Chair, Elder Law Committee). Biography: Speaker, Houston Bar Association Speakers' Bureau. Houston Bar Association; State Bar of Texas; Association of Women Attorneys; The Association of Trial Lawyers of America.